What stands out with the enslavement of African heritage people as the labor force of choice during the settlement of the Western Hemisphere as compared to slavery throughout world history is the unique concept of confining slavery to a single race and that children of slave mothers were born into slavery to serve for the remainder of their lives. This brutal system of inheritable servitude would impact the lives of tens of millions of Africans for four centuries and dramatically shaped the settlement and formation of the Americas. It is important to note that while slavery also long existed in the African continent, it was not the race based and transferable condition that was uniquely established in the Americas, with active participation of most European countries in search of land, conquest, settlement and economic exploitation. This concern for African participation in the European Trans-Atlantic Slave Trade would become a significant issue for a group of free Africans in 18th century Newport, Rhode Island. During much of the 18th century, Newport was a major American slave port and a substantial part of the town’s citizenry included enslaved Africans. As early as 1780, free Africans would assemble and establish the Free African Union Society for the purpose of promoting, preserving and protecting African rights in Newport and America. This self-help African organizational concept would later spread to New York, Philadelphia, Boston and Providence, Rhode Island. 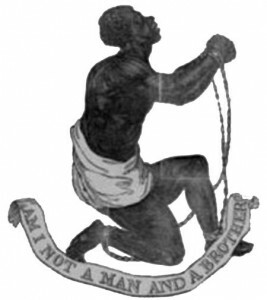 On October 6, 1791 the Newport group would compose and forward a letter to other African organizations opining that Africans who participated in the slave trade would not become members of their societies. While there are no extant Newport records of Africans denied or expelled from membership because of slave trade participation, the fact the formal notice was drafted and publically conveyed provides a glimpse into the real concerns and the complexity of human relations during the early formation of America and our shared, sometimes tragic past. Keith Stokes is a proud, native Newporter. When he is not writing blog stories on American history, he enjoys hanging out with his American Bulldog/mastiff mix, Knuckles on Cliff Walk. This entry was posted in Daily Life, Historical Articles, Uncategorized by Keith Stokes. Bookmark the permalink.